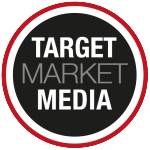 I have greatly appreciated working with Target Market Media Publications over the past months. They are an outstanding business partner in publishing. Ken and Howard have crafted a compelling business model and assembled a superior team. Their decades of experience and outstanding staff of writers, editors, and graphic designers makes for highly professional digital and print magazine products. Add to that a top tier production house and it is simple to hit the ground running! Their process is well organized, documented and time-tested. You are given rigorous orientation, step-by-step instruction, provided tools, promotional materials and guided with advice along the way. A highly flexible negotiating latitude and numerous incentives complete the formula for success in this field. In today’s digital world, there are numerous paths you can take. If you take the TMM roadmap, you just can’t go wrong!